Macadam Floor and Design has been providing carpet to homeowners and contractors in the Portland and surrounding areas for more than 30 years. Our competitive pricing and outstanding customer service has helped us become Portland’s premiere carpet store. Our knowledgeable and friendly team members are here to help and we strive for excellence in everything we do. We have a huge selection of carpet to choose from and carry all of the major brands, including Shaw, Mohawk, Kraus, Godfrey Hirst, Phenix and many more. We carry carpet at all price points as well. With the vast amount of different fibers, styles and colors of carpet available today, selecting the right one for you can feel a little overwhelming. We understand that and our experienced and professional design team can help you focus in on the right carpet that will meet all of your specific needs. 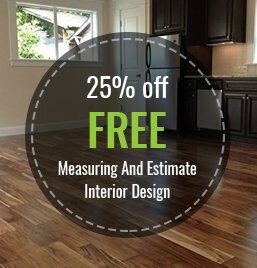 We always provide onsite measuring services and free estimates so you know exactly how much your carpet project will cost. Another way we strive for excellence is with our experienced and professional carpet installer. We only use the best, so you are sure to get a finished product that you love and one that we can be proud of. All of our installations are backed by a warranty so you can have the comfort of knowing your project will be done right. Click the FREE Estimate button to the right to get started. Also, don’t forget to download our 25% off Coupon, for tremendous savings.